Welcome to another edition of Creative Concepts! These articles take a look at decks that take creative combinations of cards and bring them together to form a potentially powerful deck. 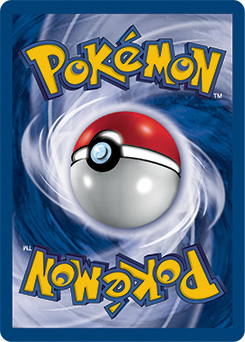 When Lost Thunder was released, many players were excited to make the three Unown cards released with it work inside decks. Unown LOT 91 found lots of use in Stall and Wall decks, Unown LOT 92 had plenty of cards to help it but couldn't quite find success, and Unown LOT 90 found lots of combos but more in the Expanded Format than in Standard. The key here is that it can also damage your own Pokemon so you can build up to try and win the game using Unown's ability Damage. We've created two decks, one budget and one full price, so that anyone interested can give these decks a try. Let's take a look at the full price option first to see the best this concept has to offer! 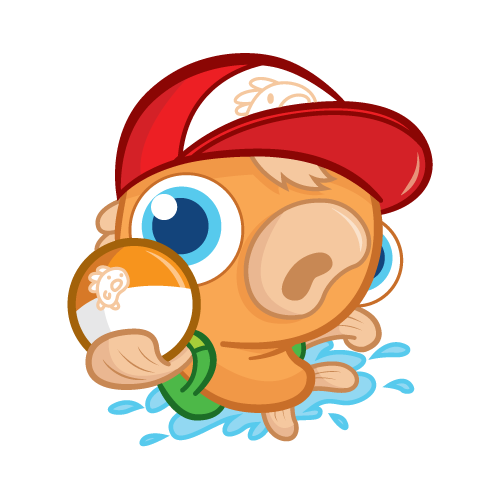 We had to find Pokemon that not only had high HP but were Basic Pokemon that had abilities. The two best candidates came in the form of Regigigas CIN 84 and Zeraora-GX. 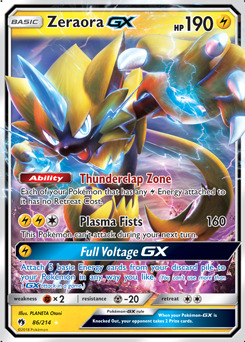 Both can handle multiple strikes from Rule of Evil, but Zeraora-GX offers other synergies as well. Eventually, Unown will have to become your active Pokemon to use its ability. Weavile has free retreat, but on the off chance the opponent has used Mount Lanakila or Alolan Dugtrio SUM 87 it will still be able to retreat. It can also help if Regigigas is dragged out onto the field by a Guzma or another gusting effect. Unfortunately, Regigigas is the weaker of the two Basic Pokemon in this scenario. This is because it can only take two attacks from Rule of Evil before being knocked out without some help. Buff Padding can be helpful in this regard so some are included in the deck. Still, we recommend using Zeraora-GX as much as possible. Remember it takes some math to make this deck work. With three Zeraora-GX on the field attacked three times with Rule of Evil, you will have 52 of the 66 required Damage Counters to activate your victory condition. From there it just takes some creativity to gain the extra you need! Of course a fourth Zeraora-GX will work, but sometimes you may have it prized or otherwise unavailable. While Gladion can help grab it and your Unown, another useful card to make things work is Damage Mover. It can easily be searched out with Volkner and can move damage to your Weavile or possibly Regigigas to help keep your numbers where they need to be. We do have a few other tools in the deck. Outside of the expected drawing cards like Lillie and Cynthia, we included both Counter Catcher and Sky Pillar. Let's face it, with cards like Guzma present there's a good chance that you will have a Pokemon knocked out. 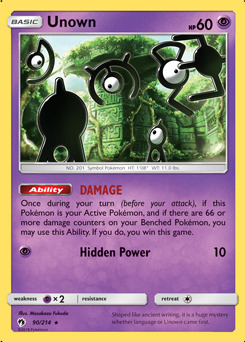 Counter Catcher will help keep the opponent on their toes with a Pokemon they may not be able to retreat in the active. Sky Pillar is useful to attempt to stop the opponent from sniping out your damaged Pokemon on the bench as well as stop the opponent from playing the stadiums they need to win. This deck of course, is rather expensive. What if you want to play around with this idea but could use something with a much lower budget? Don't worry, we've got you covered! This deck absolutely needs Regigigas to have Buff Padding to work, so we included Adventure Bag to help search them out. Still, there needed to be other potential options in case a Regigigas was prized or otherwise unavailable. While not perfect, Darkrai Prism Star and Giratina Prism Star are the next highest HP Basic Pokemon with abilities to use for the deck. Plus they work well as they aren't too expensive! Most of the other changes here are simply to keep the deck low cost. Hau is used for cheaper draw power, Tate & Liza replaces Cynthia for similar reasons but also allows for a switch in for Unown if the opponent has dragged out Regigigas or your other damage takers. Other than this the deck plays mostly the same, just take more conscious efforts to keep your numbers where they need to be. It will be harder, but it's still possible to take a win! We hope this deck has given you some creative ideas for building decks and brings you success if you give it a try! Can you think of ways to improve this concept? Tell us in the comments below or let me know directly on Twitter @LiteralGrill. Until next time, stay lit trainers!